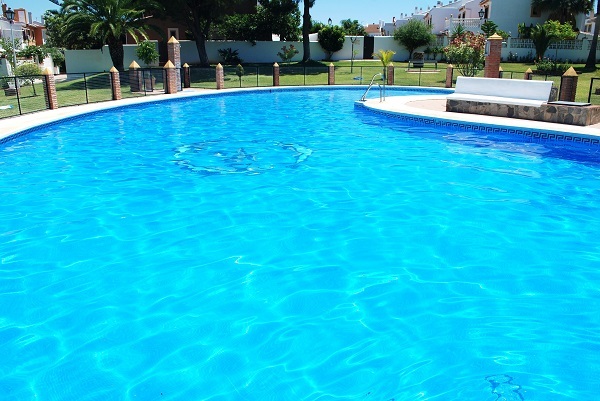 This summer you’ve taken the plunge and hired the swimming pool service contractors from Express PoolCare in Goodyear, Arizona to care for and maintain your swimming pool. Congratulations! Did you know though there are do it yourself swimming pool chores you should taken on between service visits? It’s true! Performing these simple tasks will keep your pool water cleaner, the equipment operating better and make the pool service pros task easier and that might just save you money! It will certainly assure your pool is swimmable whenever you’re ready to jump in! Grab your water test kit. It is quick and easy to test the water chemistry. Get pool water into the kit, dip in the strips, read the results. If you’re not certain what they mean or if they’re out of balance, what you need to do, give us a call. We can also give you a quick lesson on reading the water test results when we pay a service visit. Skim debris. You don’t want to let organic materials settle to the bottom of the pool. These can discolor the pool and also lead to algae growth. Skim away debris as soon as you see it. You may even want to vacuum the pool if you have time and the know-how. Using a swimming pool cover will help keep the water cleaner and will keep debris from the water. Prevent evaporation. Using the pool cover will not only keep debris from the water but will also lessen the amount of water that evaporates. That will save money on refilling the pool and having to add more chemicals to the water to keep the balances in check. We are happy to help you understand the between service visit tasks that will keep your pool water clean and swimmable and we can also help you understand what the pool equipment readings should be and to take heed of any unusual noises from the pool pump or other equipment.